You have a website and now what. The conversation needs to continue in order stay in Google’s good graces as well as to continue to reach out to your ideal customer. As a result, it’s important that you explain how it is that your product or service is better than your competitors and today, there are so many ways to do that online. And now more than ever, people are willing to listen (or read) as long as you follow the latest in best practices. Adams Edge Marketing’s specialty is in Content Marketing and Content Management and sometimes referred to as Copy. 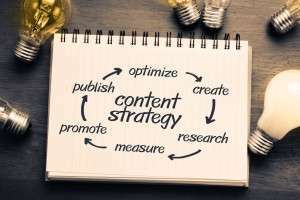 We can work with your business and team to strategize your content and help with best publishing practices. Our creative team generates interesting, engaging and unique content exclusively for your business. Complete a contact form to find out more about our dynamic, customized content marketing strategy created exclusively for each client.